Dishwashers have become more of a necessity than a convenience in modern day living. These devices cut the time in household chores significantly, unless of course they break. 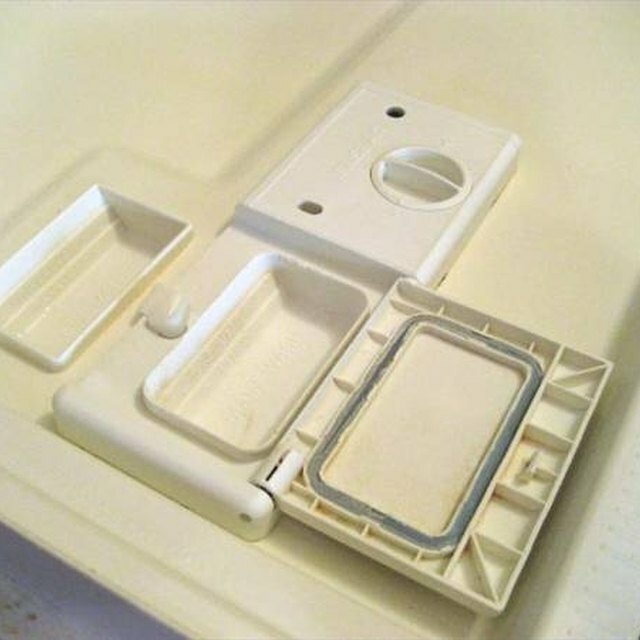 Water backup is a common problem in dealing with the maintenance of dishwashers. Rather than spend the money on a repairman, you can fix the dishwasher yourself. Check for common dishwasher problems that lead to water backup. First, take the top cap off of the air gap near the faucet. Rinse the cap and put it back on. Next, take the drain hose leading to the garbage disposal and clean it out. Hook the hose back up to the dishwasher. At this point, check to see if your problem has already been solved. Fix the clog the old fashioned way: by hand. Try to scoop and clean your way to the problem. If this does not work, you may need to buy a new pump assembly. Next, try to spin the motor by hand. If the motor will not move, you likely need a new one. Consider replacing some parts. The drive belt, which is attached to the pump, oftentimes becomes worn and causes water backup. Replace this component if it appears eroded. The drain impeller can also erode and cause water backup. Look for any part that appears eroded and replace it. If this is too much for you to handle, you may want to go ahead and call the repairman. Take the final emergency measure. Try to fix the dishwasher jets using vinegar and vigorous wiping. Look for buildup on the inside of the machine and try to alleviate it. If you still have a water backup problem, you will certainly need to call a repairman. You may even consider buying a new dishwasher.